The sleek shape of this end table makes it the perfect accent for your recliner or chair. Two shelves provide ample space for reading materials, decorative items and so much more. 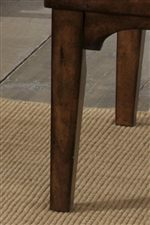 This table is constructed with rustic influences that show through in the form of a planked top and simple tapered legs. 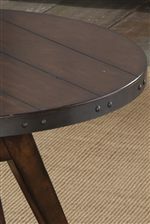 Crafted with New Zealand Pine veneers this table will add style and functionality to your living room. 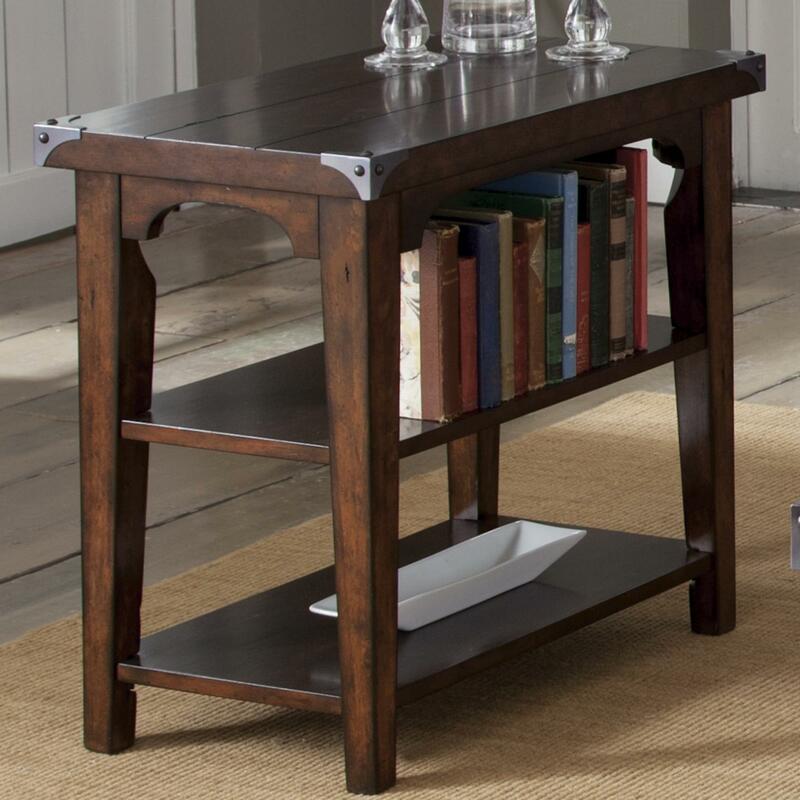 The Aspen Skies Industrial Casual Chairside End Table with 2 Shelves by Liberty Furniture at Zak's Home in the Tri-Cities, Johnson City, Tennessee area. Product availability may vary. Contact us for the most current availability on this product. 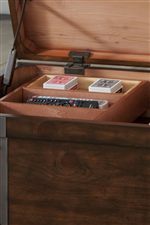 Rustic casual in style this collection of occasional pieces is constructed from New Zealand Pine veneers and hardwood solids in a gorgeous Russet Brown, Weathered Brown, or Wire Brushed Black finish. 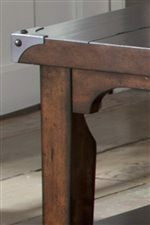 Adorned with pewter knobs, corner metal bracket and strap accents the piece's have a rustic influence. The storage trunk in this collection features casters while all other pieces have a tapered leg design. Add this collection to your home to display and store decor items, framed photos, media consoles and much more. The Aspen Skies collection is a great option if you are looking for Industrial furniture in the Tri-Cities, Johnson City, Tennessee area. Browse other items in the Aspen Skies collection from Zak's Home in the Tri-Cities, Johnson City, Tennessee area.